Ben Miller plays sax, guitar, and analog electronics and was formerly in legendary Michigan group Destroy All Monsters. Matt Weston lives in Albany and is the newest member of the Albany Sonic Arts Collective. He’s an amazing percussionist and if you haven’t seen him play yet, you’re in for a treat. Andy Crespo is from Western MA. and plays in Barn Owl with Matt (and Chris Cooper). he plays bass in ways that will expand your mind. 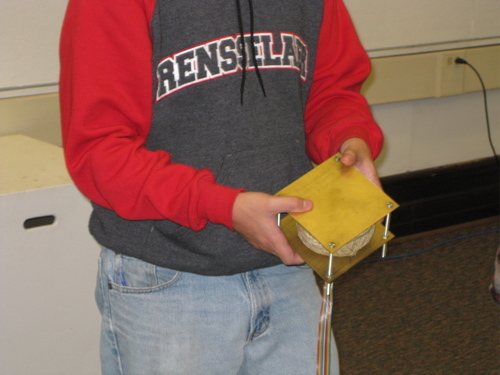 Jefferson Pitcher lives in Troy and is an accomplished guitarist who has released albums on a variety of labels with collaborators Christian Kiefer, J. Matthew Gerken, and others. Sam Sowydra recently moved to Albany. He is a percussionist and multi-instrumentalist who also performs as part of Baltimore musician Dan Deacon’s ensemble. Cruudeuces is the solo project of Nathaniel Brennan of North Adams, MA. He has also recorded with Twin Beds and has a slew of new releases out soon on a variety of labels. Followed this post on Free Albums Galore to Volcano the Bear‘s Classic Erasmus Fusion courtesy of the Free Music Archive and Beta Lactam Ring Records. Wow, what a great record! It’s been a while since I listened to an album all the way through and then put it on again right away. Looking forward to hearing more. 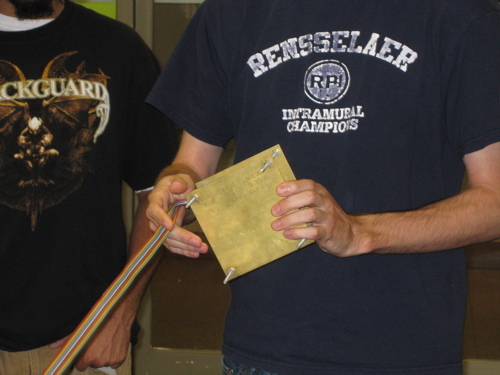 I recently presented my sound installation, With Hidden Noises, at Rensselaer Polytechnic Institute as part of Michael Oatman’s seminar on Marcel Duchamp. Somehow all of the photos I took of the installation include students proudly wearing their school colors. More information about the With Hidden Noises CD at Grab Rare Arts. 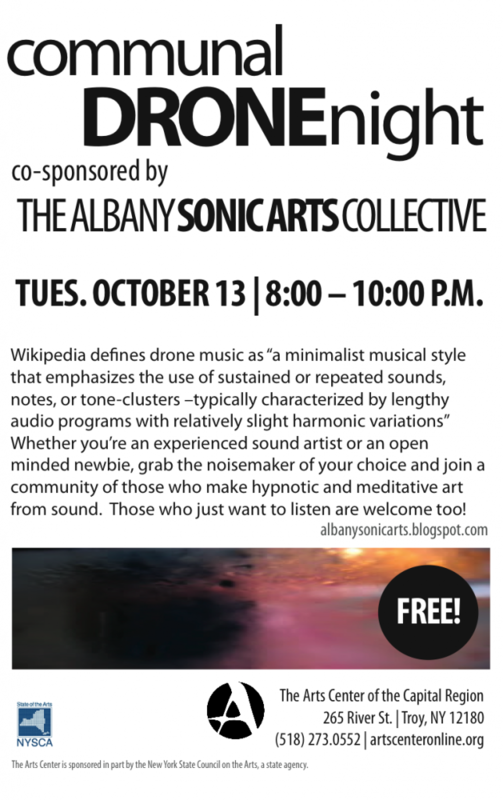 The Arts Center of the Capital Region presents Communal Drone Night, co-sponsored by the Albany Sonic Arts Collective. Bring an instrument or your voice and join in or come and listen. The Times Union published a review by Greg Haymes. The review has already attracted a few comments from readers. And go to Nippertown for the special features including photos and outtakes from the review.